This is the second in a series of videos culled from an interview about content marketing I did with Terry Foster of Cision Canada. 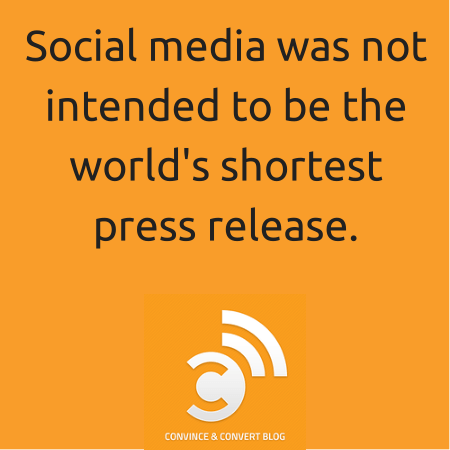 Cision (the USA version) is also a sponsor of Convince & Convert and our Social Pros podcast. (here’s a post I wrote about their nifty content amplification tool). Terry: How important is it to create a consistent audience? Jay: Well, it’s sort of a chicken and the egg argument. What I would say is that great content creates audience disproportionate to the other things in marketing that you’re doing. Without useful content – without content that entertains, without content that breaks through – it’s much, much more difficult to create and maintain an audience then it used to be. By the same token, if you don’t have an audience, the content creation process can get to be a pretty lonely endeavor. I see this all the time – where people are actually doing pretty good things, but the cart’s before the horse. They focus so much on production and not enough on distribution and amplification that you have this great content that just falls completely flat. Terry: So how important is that concept of fans and followers then? Do you want to build the fans and followers first, or do you build the content first? Jay: Well, I think, typically, what we look at is that content is fire, and social media is gasoline. Social media’s best relationship to content is as an amplification layer, that the content exists independent of what you’re doing in social, but you’re using social to drive awareness of your fantastic content executions. Terry: So would you say then that engagement is vitally important to a content marketing program? You have consumption metrics. Did people watch, listen, read this? 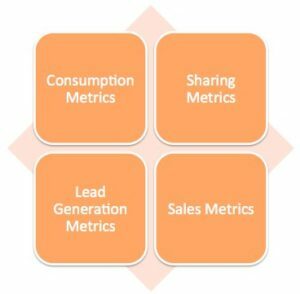 You have engagement and sharing metrics. Did people care enough about it that they chose to tell other people about it? And then you have lead generation metrics. Did people engage in a behavior that’s indicative of a purchase? And then you have actual sales metrics. Did this particular content or series of content executions generate revenue, either for new customers. Or perhaps most importantly and often overlooked, did it cause current customers to renew?